Author: Martin, Valerie Set In . . . 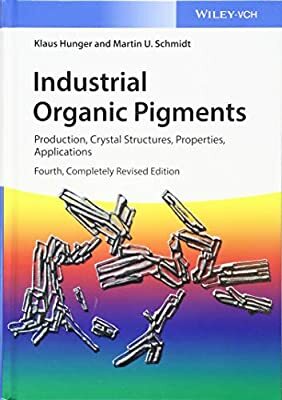 Description: Revised and updated, this highly acclaimed work, now in its fourth edition, remains the most comprehensive source of information available on organic pigments. It provides up-to-date information on synthesis, reaction mechanism, physical and chemical properties, test methods, and applications of all the industrially produced organic pigments available on the world market. This fourth edition now includes new chapters on the latest applications and three-dimensional X-ray analysis, while the chapters on legislation, ecology, and toxicology have been rewritten to reflect recent developments.